It was, without question, one of the weirdest, most random feuds in television history. 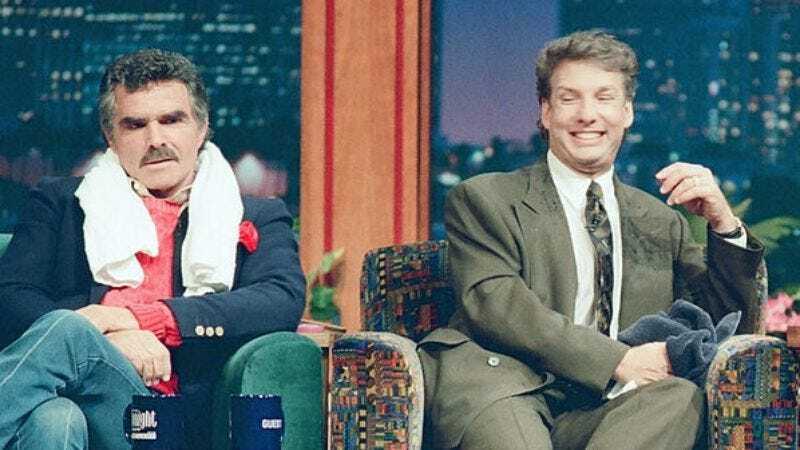 Who would have guessed that affable, all-purpose TV host Marc Summers, best known as the emcee of Nickelodeon’s playfully messy Double Dare, would beef with anyone, let alone the volatile Burt Reynolds? But that’s just what happened when both Summers and Reynolds were guests on the Jay Leno version of The Tonight Show on October 17, 1994. A clip of their notorious stand-off has recently reentered the public’s consciousness, thanks to Reddit. Water is thrown. Harsh words are exchanged. A pie fight ensues. It’s chaos, and even Leno admits he has lost control of his own show. Reynolds and Summers eventually hug it out, though even this seems more violent than usual. Leno does his best to distance himself, quite literally, from the situation. During the closing credits, Reynolds autographs a copy of his book for Summers. “I kept the book as a memento of the night,” Summers writes. “I’ve never read it.” The game show host never appeared on any iteration of The Tonight Show again.